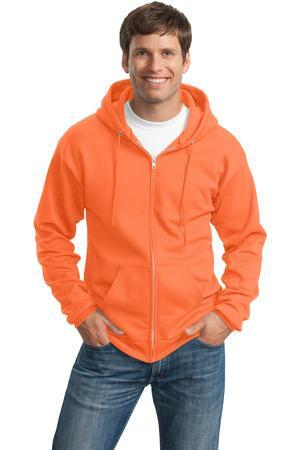 Sales At Ad-A-Print: Port & Company® - Classic Full-Zip Hooded Sweatshirt. Port & Company® - Classic Full-Zip Hooded Sweatshirt. On sale now for a limited time is the Port & Company Classic Full Zip Sweatshirt. Order yours today with a minimum of 25 with one color print on the front and 1 color print on the back at $20.00 ea. This jacket comes in more colors than any other and has a variety of sizes. Its super comfortable and everyone loves them so, call and order yours today!